Download now the most advanced scanner on the App Store for iPhone and iPad. 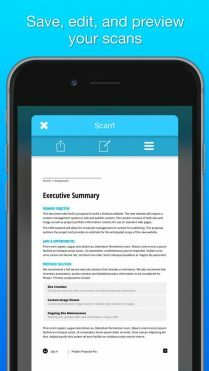 Scanner transforms your iPhone and iPad into portable scanners. It has a built in border detector which you can set to manual or automatic. Delete shadows and fix the perspective. 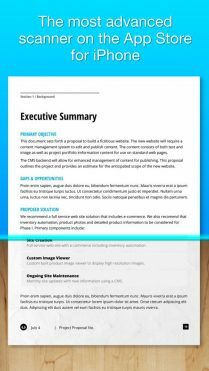 In a few seconds, you will have a professional multi-page PDF, or JPEG / PNG files of perfect quality. The automatic border detection and the advanced image proccessing will help you achieve fantastic scans in a timely fashion. You can also adjust the area of cropping manually, tapping on the screen. 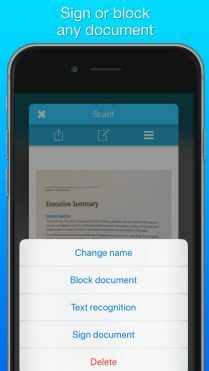 While scanning a document, the borders are visually detected in real time. As a matter of fact, you can choose the best position to achieve a perfect scanning, avoiding manually adjusting the borders. Find your documents & receipts easily from your Photo Library. Now you can use your favourite camera application as much as you want and find your documents on Photos. + EDIT. SAVE. EDIT AGAIN. Each change you do to your scans will be registered. This means that you could undo changes if needed. 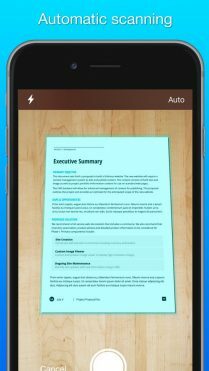 You can add new scans or delete pages inside of a document. 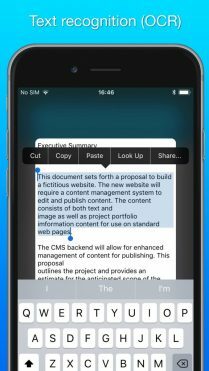 Access all your scanned documents on your iPhone, iPad and Mac. 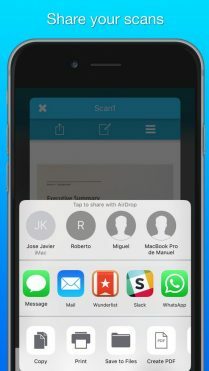 Scan a document on your iPhone or iPad and they will be uploaded to iCloud Drive automatically. Sync between your devices and preview them on your Mac. Block your documents so only you can access them.